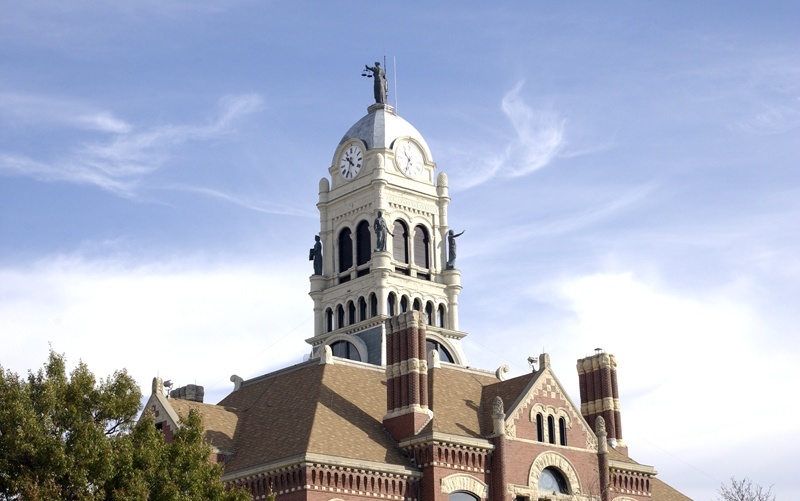 Well before a successful bond referendum, Bergland + Cram began preparation work for the restoration to the clocktower of the Franklin County Courthouse. 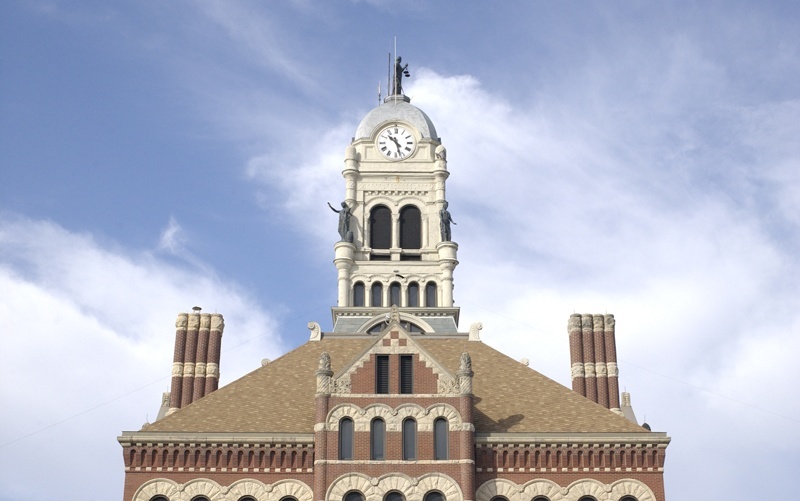 Listed on the National Register of Historic Places, the courthouse was built in 1890/1891 and towers high above the quiet town of Hampton, Iowa. 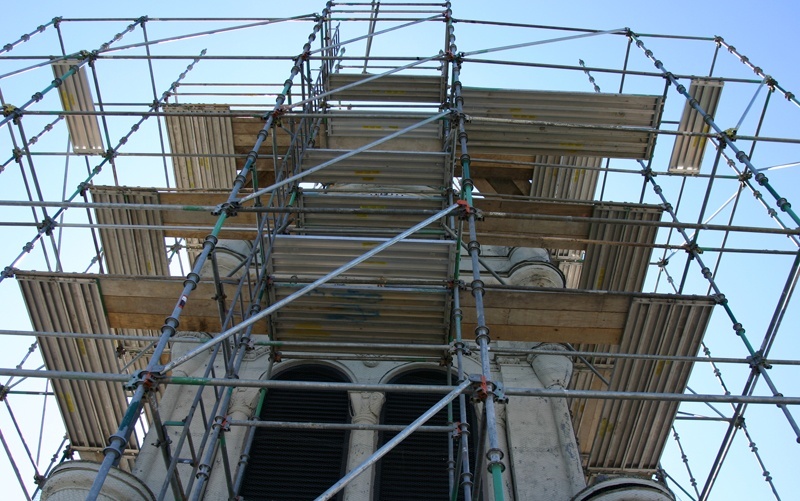 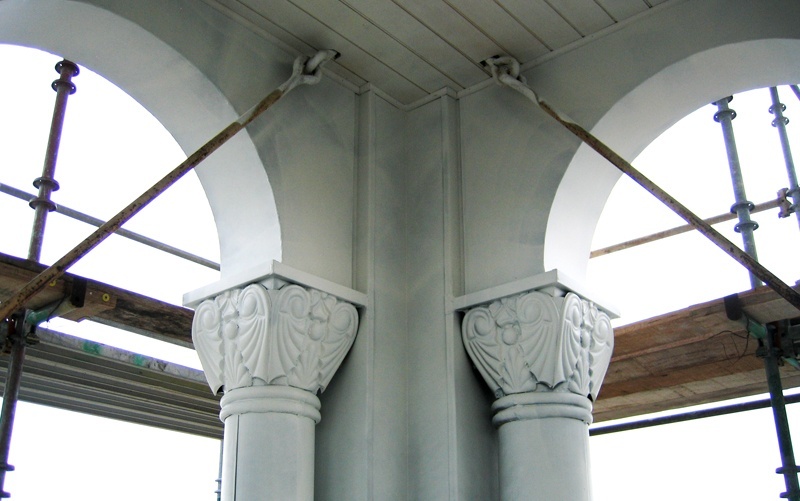 The project includes restoration of the original exterior metal cladding, internal structure, slate roof and five copper statues representing Mercy, Agriculture, Commerce, Law and Justice.